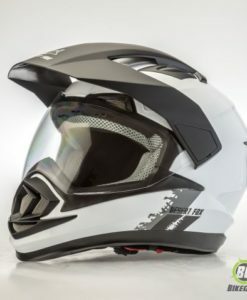 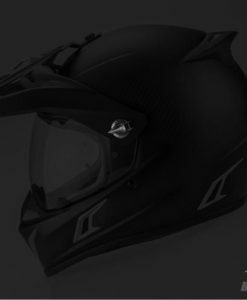 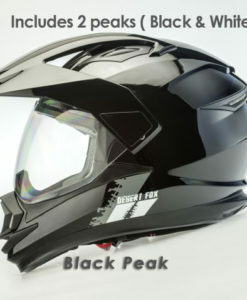 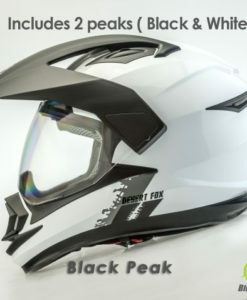 The worlds lightest Dual Sport Adventure Helmet? 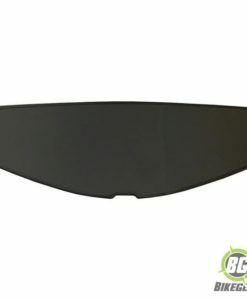 Starting at 1050g it well may be. 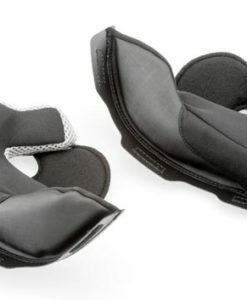 After a long day in the saddle, your neck and body will feel the difference. 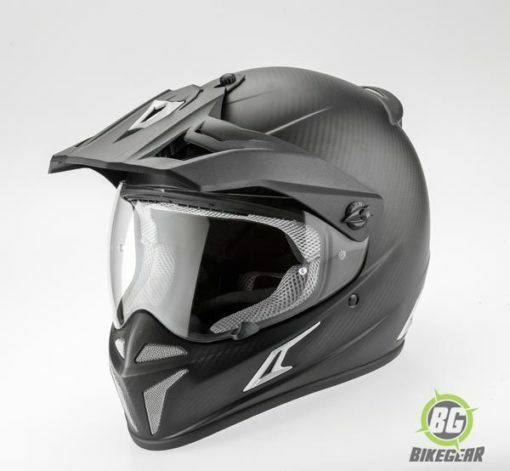 The benefits of this ultra-lightweight adventure helmet go beyond its dramatic weight savings. 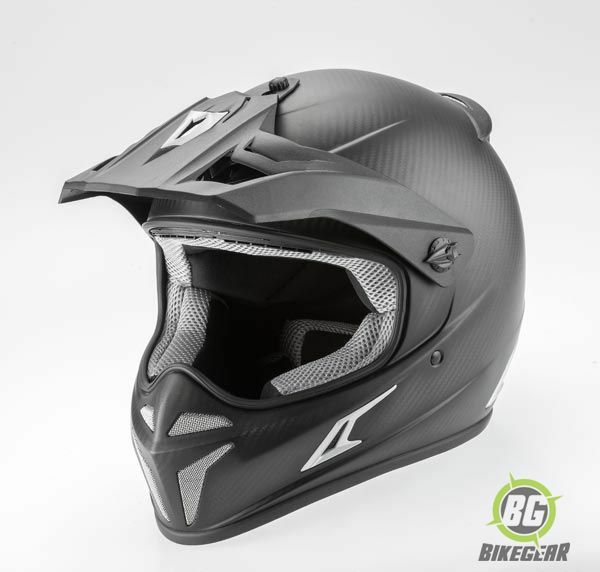 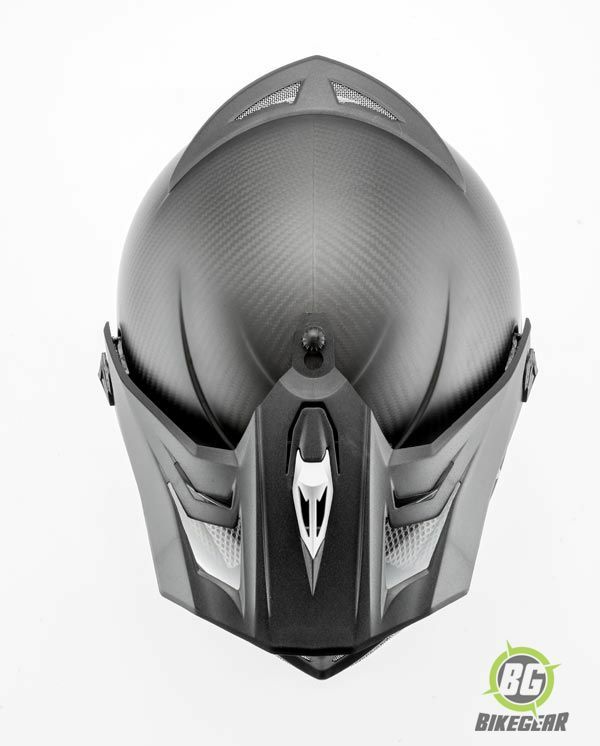 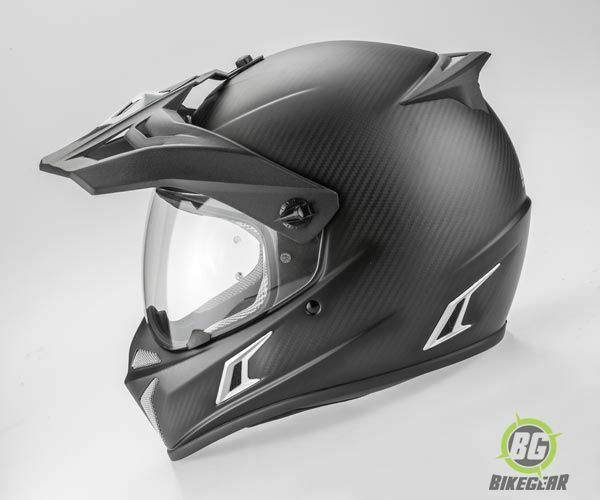 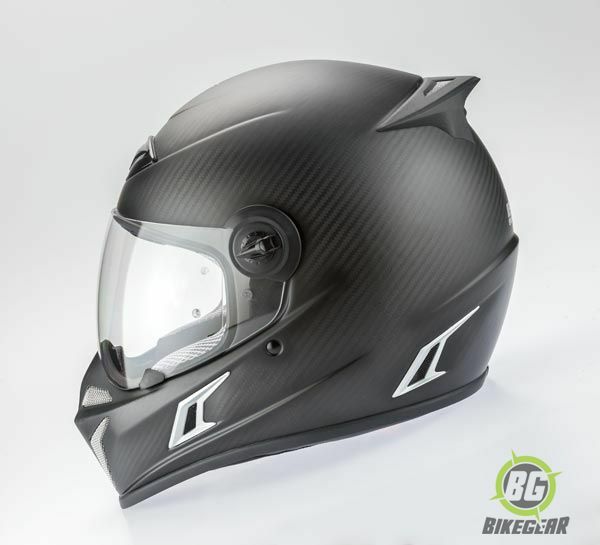 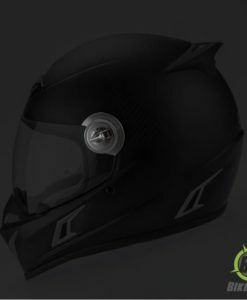 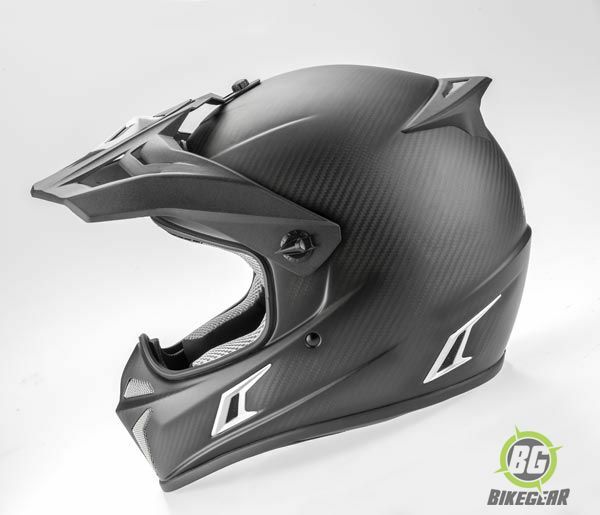 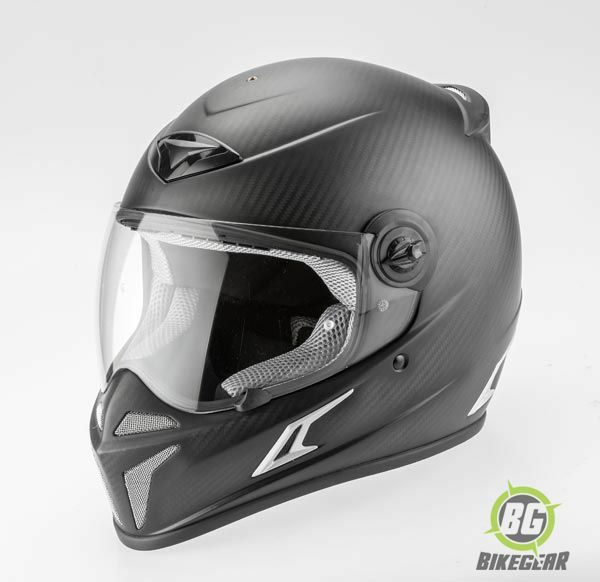 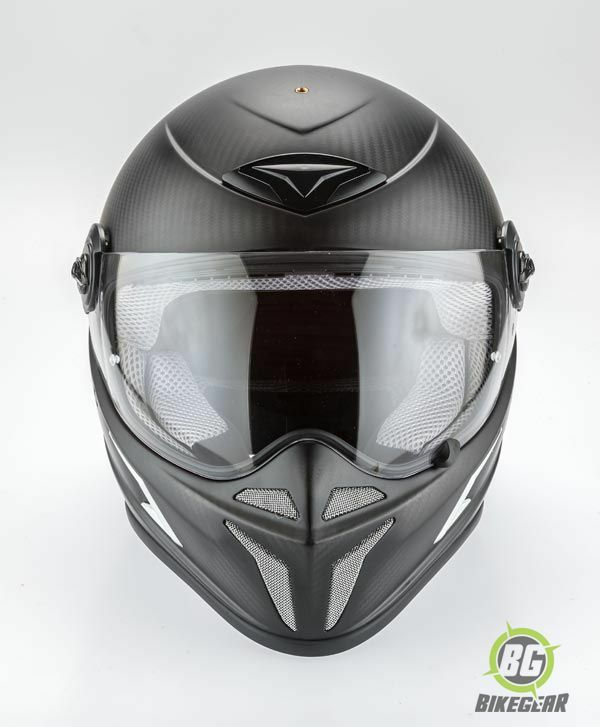 5 days of hand construction utilizing pure Carbon Kevlar ensures a helmet with the highest strength-to-weight ratio possible, for any form of motorcycle helmet construction. 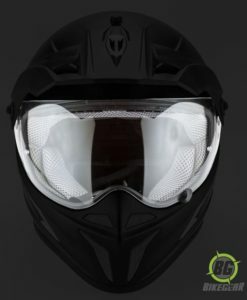 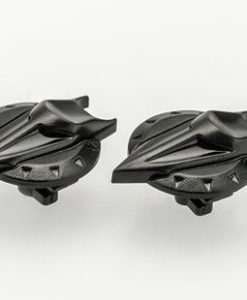 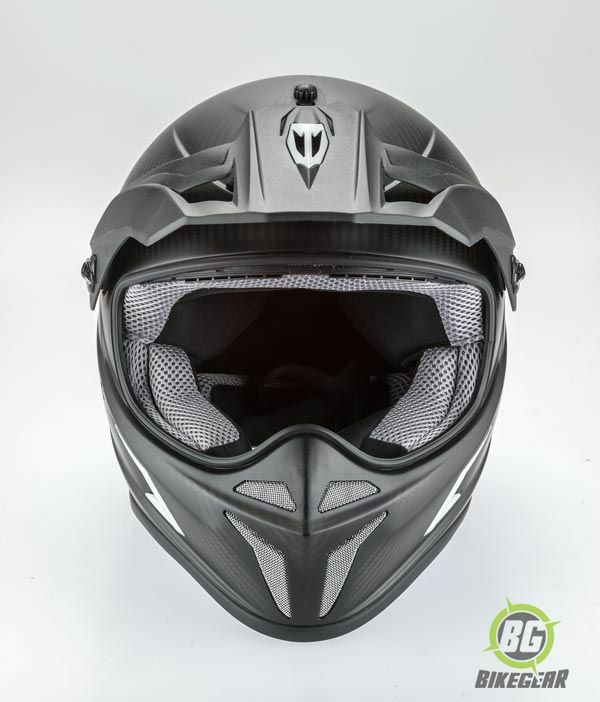 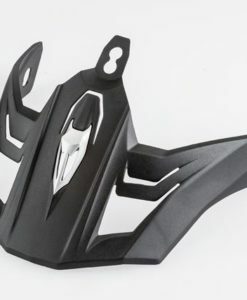 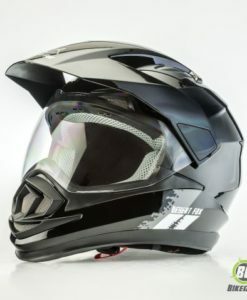 Easily converts from a Dual Sport Adventure helmet to a Full Face or Enduro MX helmet, without tools! 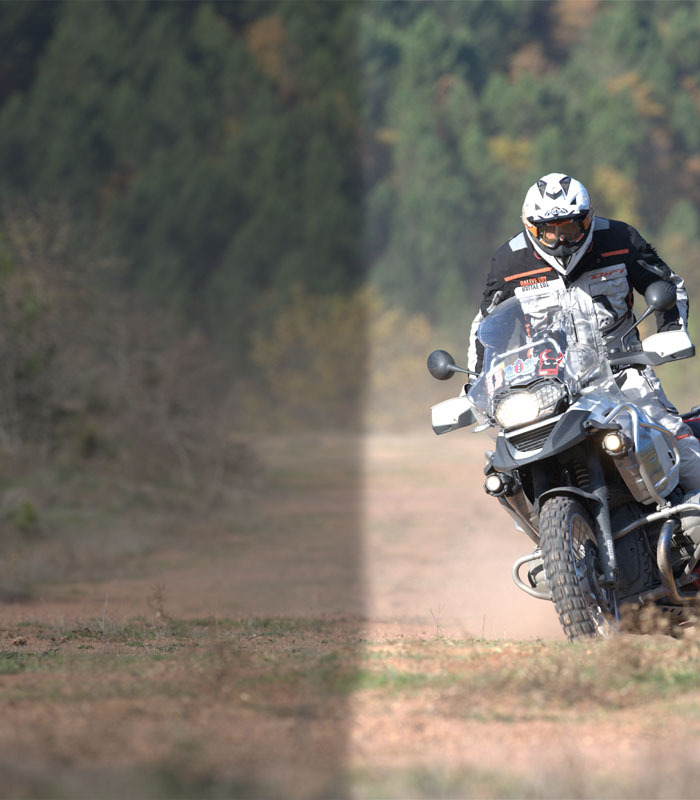 An extra-wide visor aperture design for excellent all-around vision. 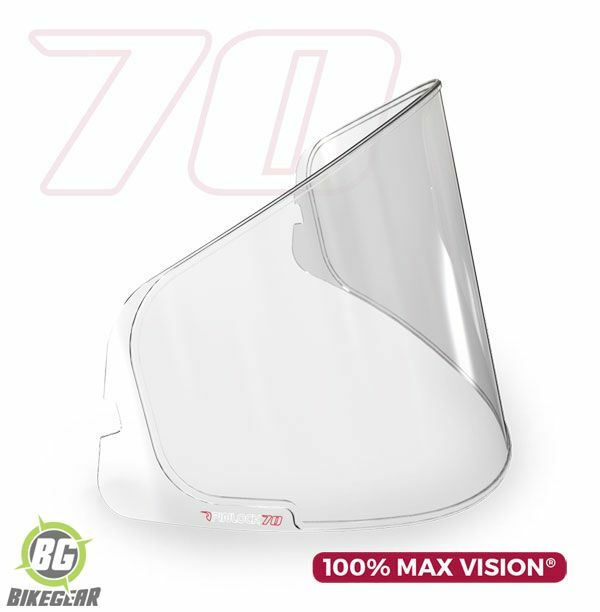 An optically correct visor offering 100% protection from harmful ultraviolet rays, UVA, UVB and UVC. 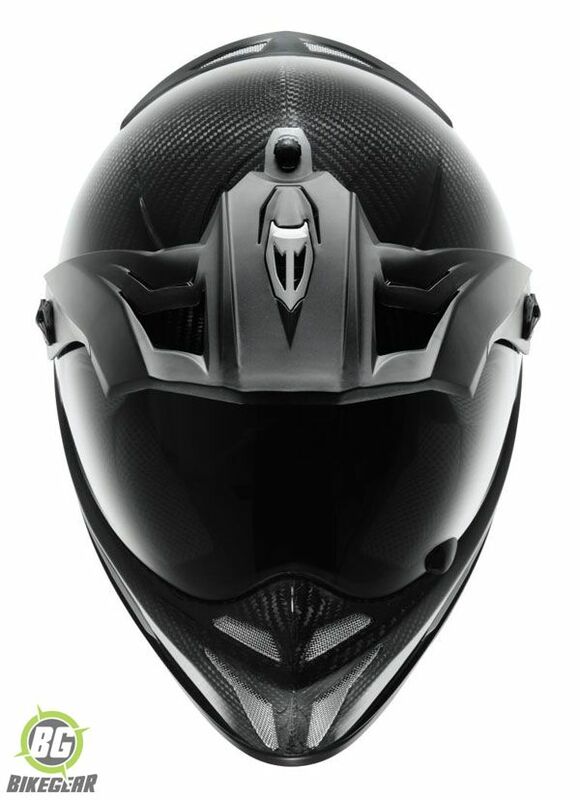 The visor is constructed from Makrolon® a patented high tech product from Bayer Material Science, Germany, as used by F1 racers. 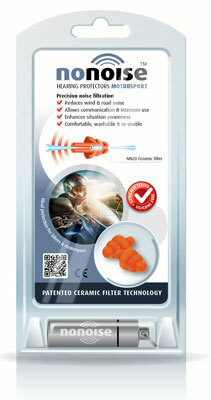 Removable anti-allergic check pads and liners for simple cleaning. 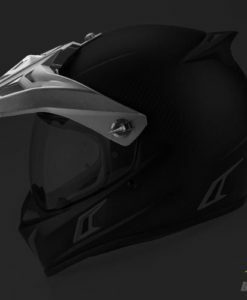 Removable peak and visor for 3 in 1 versatility – Quickly transition from dual-sport/Adventure to street to off-road with no tools required. 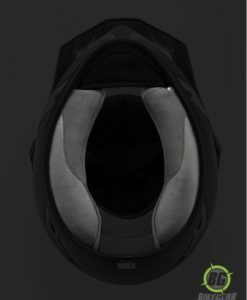 Provision to accommodate helmet speakers, in comfort. 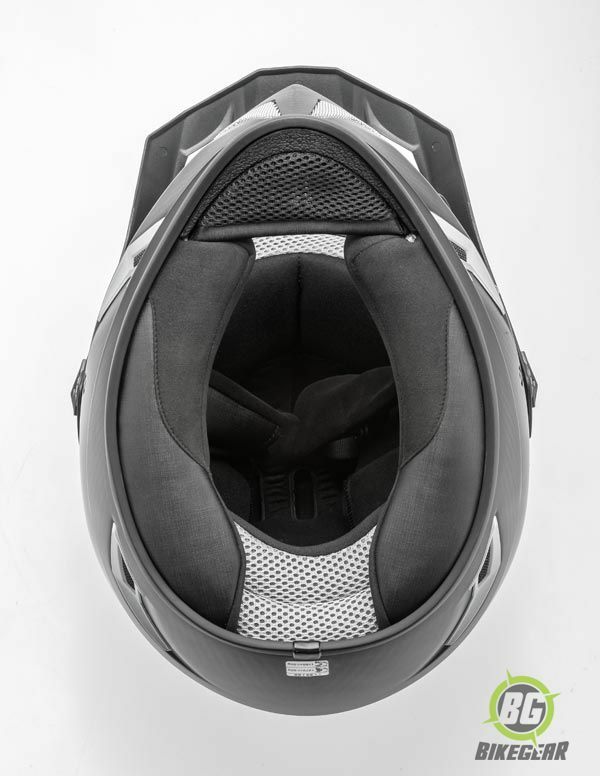 Full European ECE safety, Dot and NCRS certification. 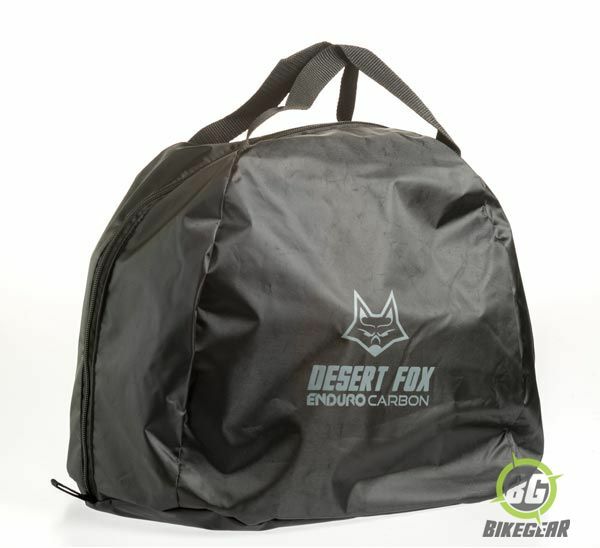 The Desert Fox helmet is manufactured in two shell sizes and in six different helmet sizes to ensure a comfortable and optimal fit. 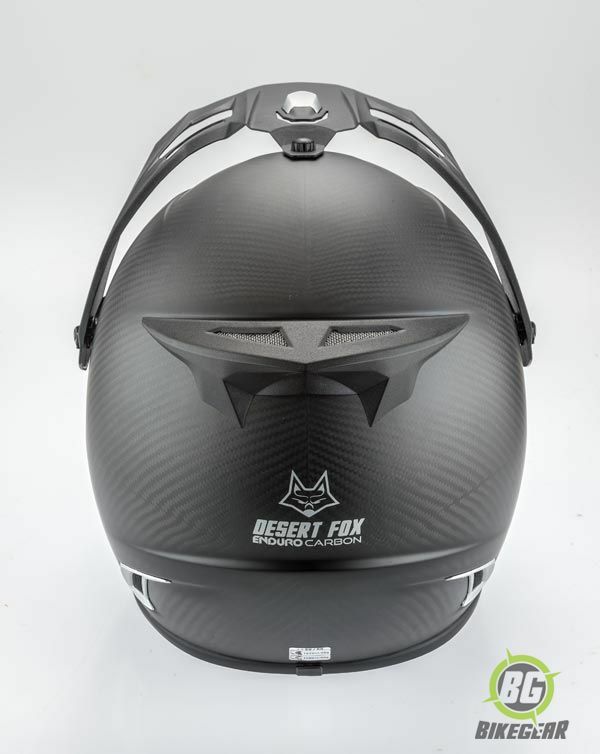 For the For the Desert Fox Enduro pure Carbon Kevlar Adventure helmet: visors made of Makrolon® are highly transparent and impact resistant from -40°C to over 100°C. 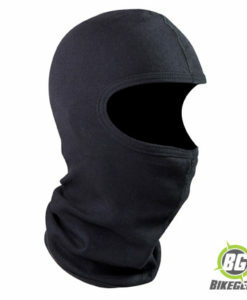 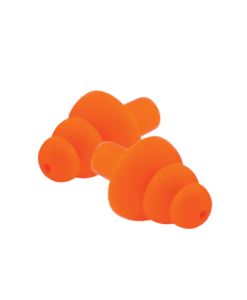 100% breathable cotton for balaclava for dual sport motorcycle riders. 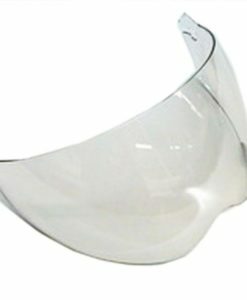 A genuine Clear Pinlock 70 Fog resistant lens. 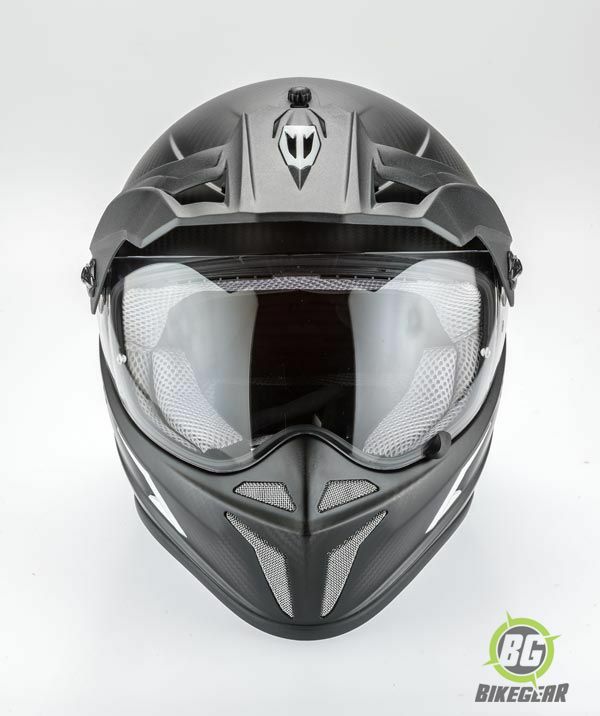 This lens has been specifically designed for this helmet, ensuring a perfect fit.